When I was little all I ever wanted to be was an astronaut! I was obsessed with anything to do with space and was certain that one day It would defiantly get to travel in a space ship. Well turns out that it’s not that easy to become a astronaut and I soon found out my passion for life was in a different route. 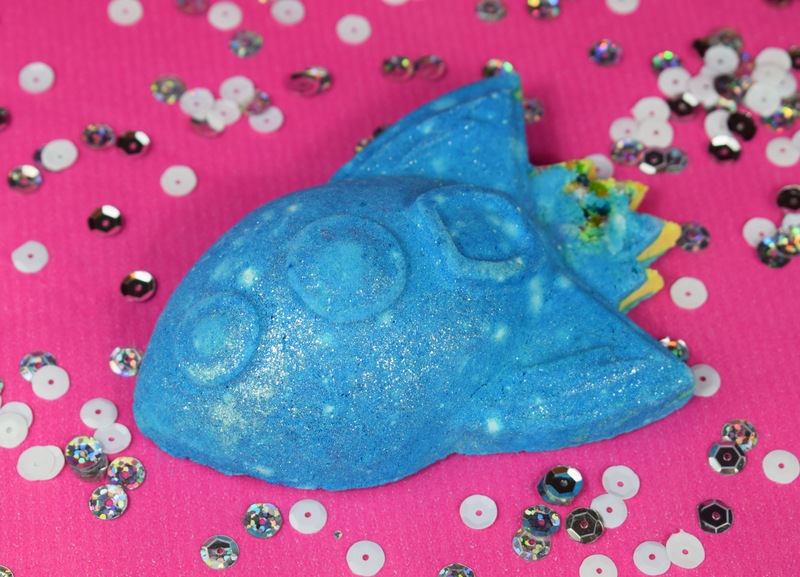 However i still have a huge love for anything spacey, so a rocket shaped bath bomb is just perfect for me. 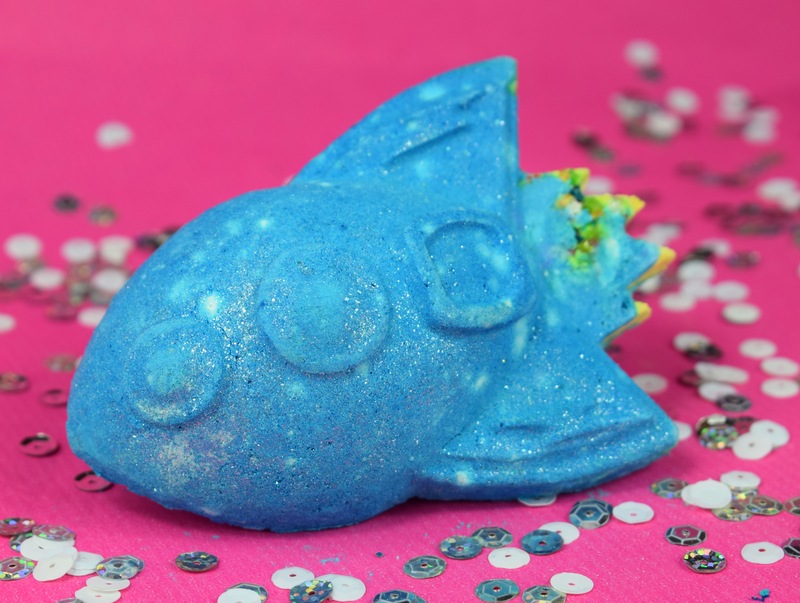 The Rocket Science bath bomb was released as part of the years summer range (2017). Bright blue in colour this is one of the brightest and most eye catching bath bombs I have seen in a long time, and it’s rocket design makes it super fun and quirky. What is also brilliant about this bath bomb is its price. At £2.95 this is one of the cheaper bath bombs that Lush have to offer. 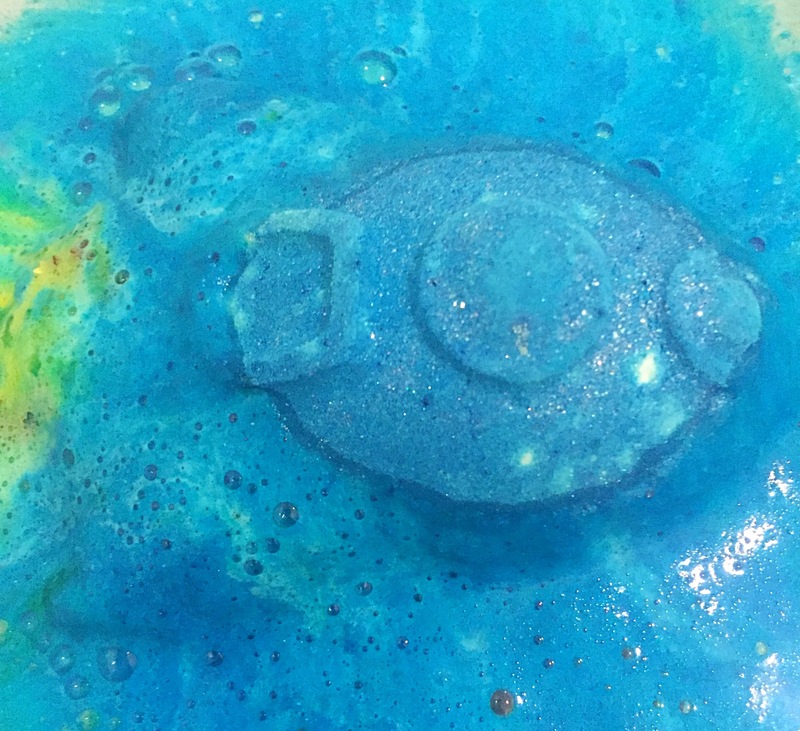 Although not as large as a regular bath bomb the Rocket Science bath bomb is still a pretty decent size. The scent of the Rocket Science bath bomb is beautiful. Containing Sicilian lemon oil and bergamot oil it has a bright fresh citrus scent. 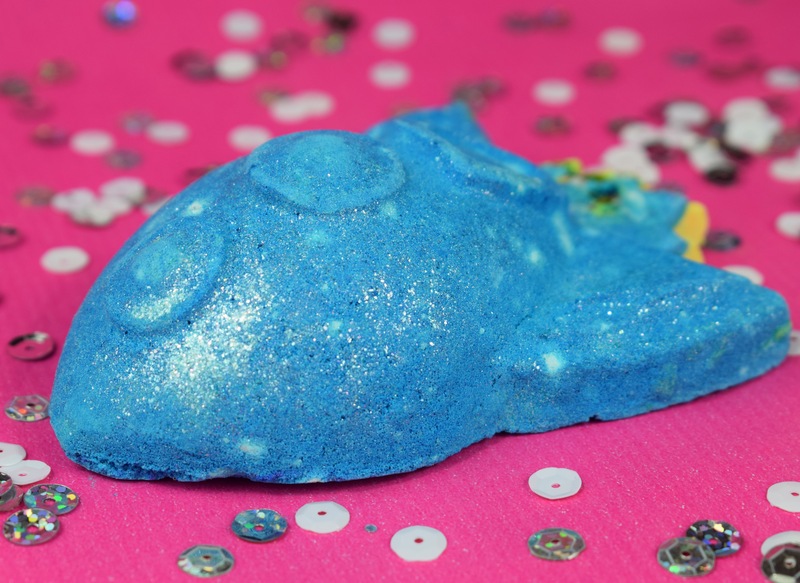 This is the perfect bath bomb for making you feel uplifted, refreshed and ready for what ever the day has in store for you. Once in the water I was actually quite surprised to find the the Rocket Science is a very slow fizzer, it took a good ten minutes for it to fuller dissolve into the water. 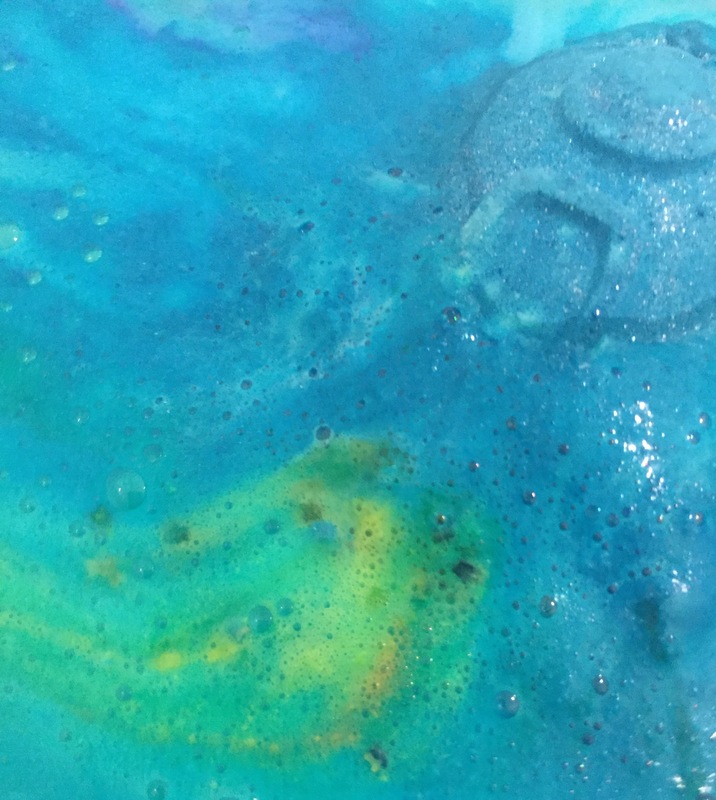 As soon as the Rocket Science bath bomb hit the water is created a mound of blue foam which the rockets floated on for a few moments. It then slowly fizzed around the bath creating swirls of foam and releasing a trail of lustre into the water. After the bath bomb had fully dissolved it created the most beautiful blue water with a subtle sparkly, which make it look like stars in the nights sky. I found that once in the water the scent of this bath bomb almost vanished. Before use it had a rather strong scent but once dissolved it was very hard to pick up on anything. Although the scent was a little weaker in the water than I would prefer. I loved how pretty it turned the water and this is defiantly a bath bomb that I would try again. I REALLY need to pick one of these babies up! It just looks amazing and the fact it has scents that are right up my street just makes me happy!